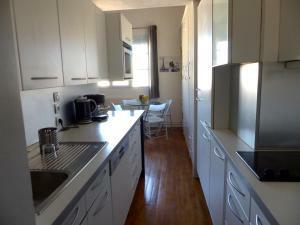 It was really amassing, better than expectation, the host, Alexandre has provided everything you may need in apartment. 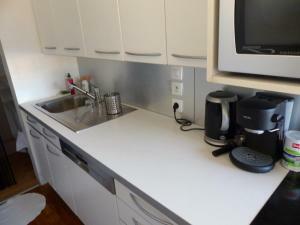 fully equipped kitchen, the second floor was perfect, panorama sun roof in bathroom corridor makes it lovely, you may watch Paris sky while you are showering!! amazing, very good location, access to good restaurants , supermarket, metro line, all was great thank you Alexandre we enjoyed from our stay in cold Paris. Fantastic views from the Eiffel Tower. 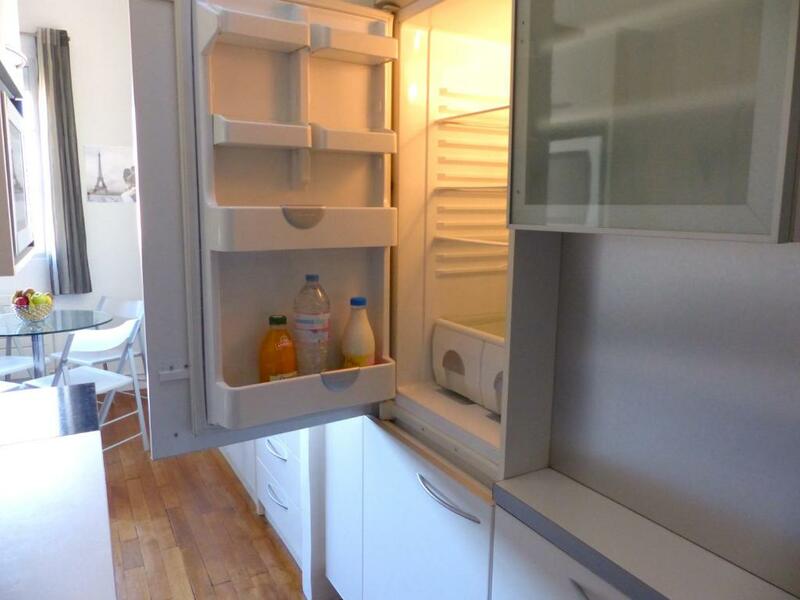 Very cosy well appointed flat in a posh area of Paris, very well insulated, quite and with all shops across the road. FaB! Flexibility of arrival time. Option of contacting the owner over the phone, when/if needed. El equipamiento es pefecto. La ubicación ideal. El espacio está perfectamente aprovechado. 에펠뷰에 이렇게좋은아파트를 이용할수있디니 행복이었습니다 마치 신혼여행을온기분 집주인도 완전 친절함! Тишина в квартире и отсутствие шума с улицы. Прекрасный вид из окна - фото не передают близость Эйфелевой башни, в реале она ближе и больше. В общем, несмотря на очень мелкие недостатки, это уникальное предложение для Парижа. Два больших удобных спальных места с одеялами в пододеяльниках (а не простныни поверх одеял, как бывает иногда в Европе). Вся необходимая новая техника. Хороший респектабельный район. Чистая и просторная квартира. И очень атмосферная. Красивый лифт (небольшой, но наши чемоданы вошли). Один этаж надо пронести было пешком, но это не проблема - лестница нормальная, не маленькая). Спасибо за кофе капсулы и воду, соки в холодильнике очень кстати по приезду. Хозяин квартиры шел навстречу по часам выезда. Квартира была настолько хороша, что небольшие огрехи уборщицы (о которых написала в "минусах") не омрачили наше пребывание. Плюс - ключи Александр привез сам и встретил нас (часто в Париже за ними надо ездить самим, судя по другим отзывам на сайте). 잠자리는 편했고 주방기기 및 세탁기를 이용할 수 있어서 장기 여행의 도움이 되었다. 호스트가 친절하였고 파리 여행의 정보도 제공해주었다 숙소에서 에펠탑이 보여 밤에도 실컷 보았다. Accueil très très sympa. L'agencement général de l'appart et espace plus que confortable pour Paris. 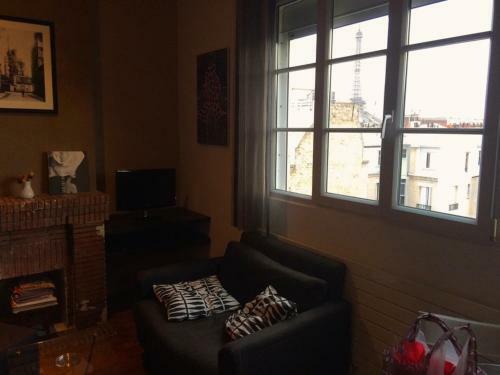 Lock in a great price for Delightful 1 BR - Eiffel view – rated 9.4 by recent guests! 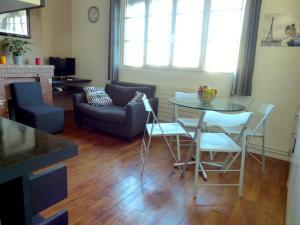 Delightful 1 BR - Eiffel view is located in Paris. 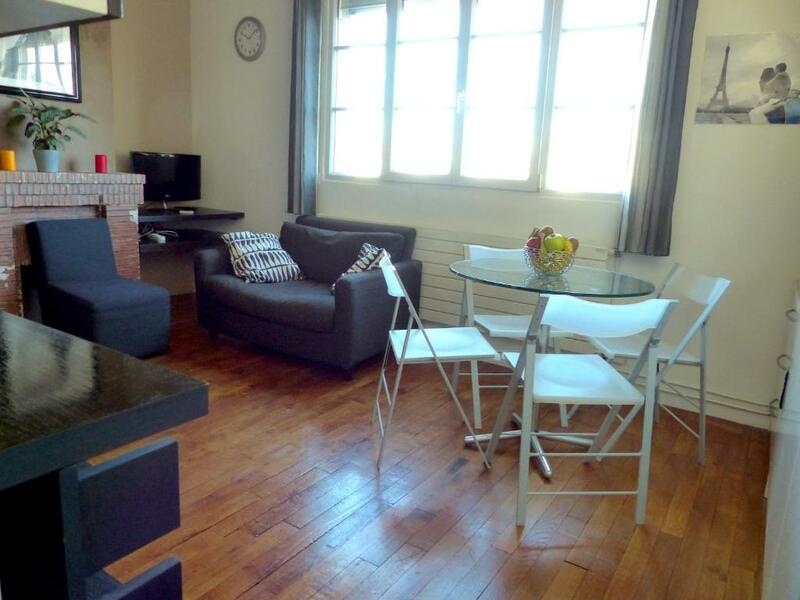 This property is 1.1 miles from Eiffel Tower and has free WiFi. This air-conditioned 1-bedroom apartment comes with a kitchen, a seating area, and a satellite flat-screen TV. The bathroom has a bath or shower and free toiletries. Arc de Triomphe is 1.7 miles from the apartment, while Palais des Congrès de Paris is 2 miles away. Orly Airport is 11 miles from the property. When would you like to stay at Delightful 1 BR - Eiffel view? Welcome to our unique Delightful 1Br- Eiffel view This amazing 50 square meter compromises : - a sitting room - a dinning room - a separate kitchen with washer, stove, fridge, Nespresso and mircrowave. - 1 WC - 1 bathroom - 1 bedroom Welcome pack provided : coffee, tea, chocolate, orange juice, milk and much more ! 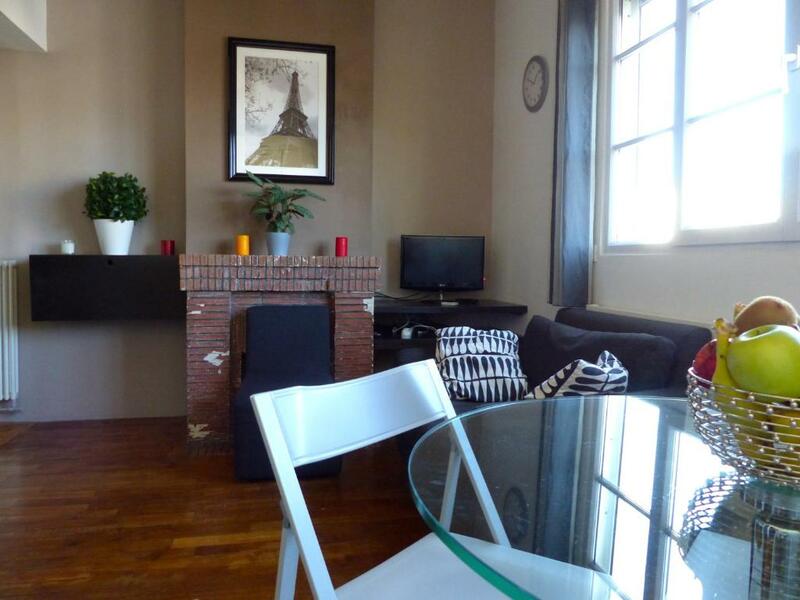 The big plus of this apartment is its tranquility, it is located on a beautiful courtyard. Which allows it to be protected from the constant noise from the street. The calendar is up to date, last minute reservations are welcome ! We can arrange you airport pickup or car rental if required and would be glad to provide answers to your questions, please contact us. The apartment is located on 48 Rue de Passy, in the 16h arrondissement of Paris, a very safe and convenient area. The neighborhood provides a wide choice of cafes, restaurants, bars and supermarkets selling all the fresh food and bread you would want during your stay. It is extremely safe in the 16th arrondissement. House Rules Delightful 1 BR - Eiffel view takes special requests – add in the next step! 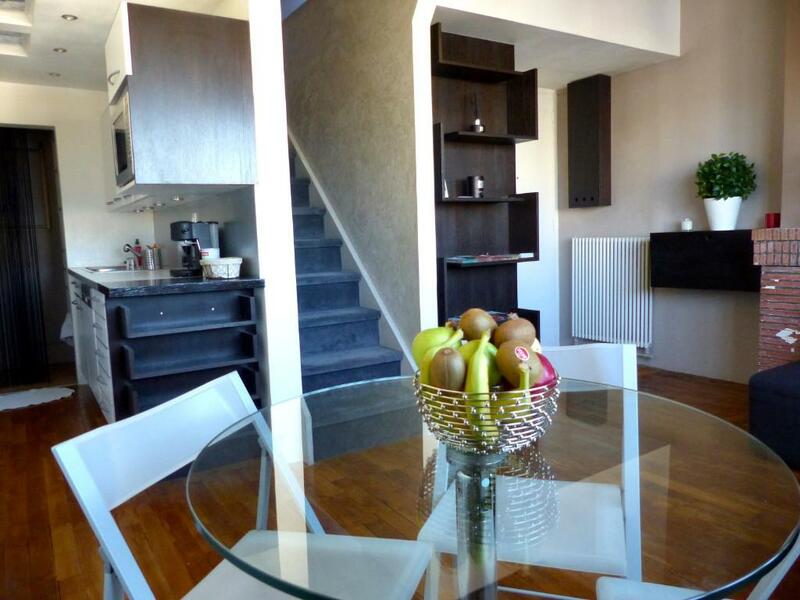 Delightful 1 BR - Eiffel view accepts these cards and reserves the right to temporarily hold an amount prior to arrival. Please note that for arrivals between 20:00 and 22:00, a EUR 50 extra fee will apply. Please inform Delightful 1 BR - Eiffel view of your expected arrival time in advance. You can use the Special Requests box when booking, or contact the property directly using the contact details in your confirmation. Some minor maintenance needed around electrics but owner is aware and will fix. Can't think of anything much, the ground floor is wood and makes some noise when walked on, but that's about it, maybe a good area rug or carpet might help with that. The flat is located in an excellent location - a 5 minute walk from three separate stations, 2 Metro and 1 RER. The RER station (Boulainvilliers) is on the B line and easily connects to the C line to get to/from the airport. The Metro lines (Passy & La Muette) will take you anywhere you want to go in Paris. There is a Monoprix literally across the street that is located in an underground shopping center and there are restaurants and bars all up and down the street (Rue Passy). From the flat the Eiffel tower is about a 10 minute walk and can be seen out of the window (the picture attached to this review is from that window). The flat itself has everything needed for a good trip. 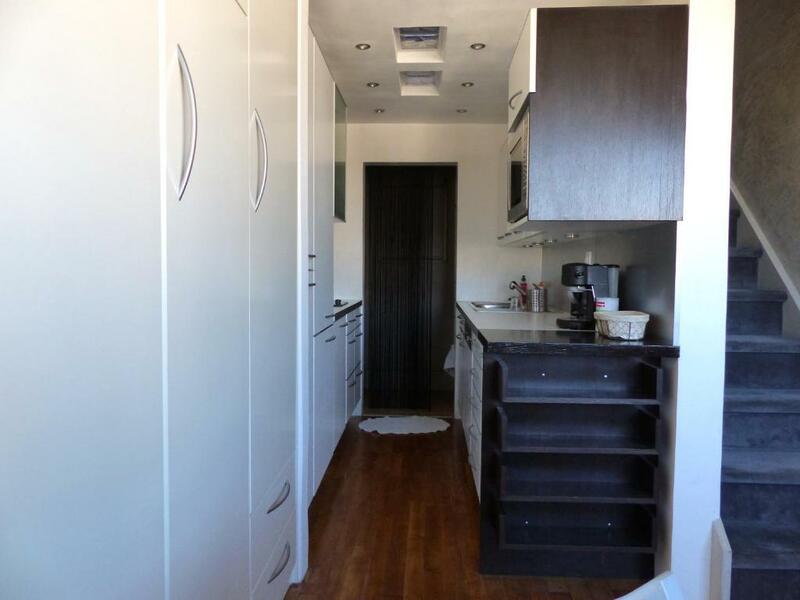 There is a full kitchen with refrigerator/freezer, dishwasher, oven, toaster, etc. that comes along with pots/pans utensils needed to make use of it. There is a combination washer/dryer, two beds - one up in the loft and the other on the ground floor. For Paris the flat is roomy, and being that it is on the top floor of the building there is no one above to stomp around at night on the ceiling. The host of the flat is very accommodating and responsive, he met us on arrival and went over everything to make sure we had what we needed. He also provided a wireless network card that was useful in traveling around the city as it allowed the used of cell phones without the need for a local SIM card with data. Some initial food (mainly fruit) and drinks were made available (with no charge) which was nice to have on arriving as it was a long trip. Overall this is an excellent place to stay and if I get the chance will come back here next time I'm in Paris.